A professional opinion based on assumptions rather than the relevant facts is usually worthless. 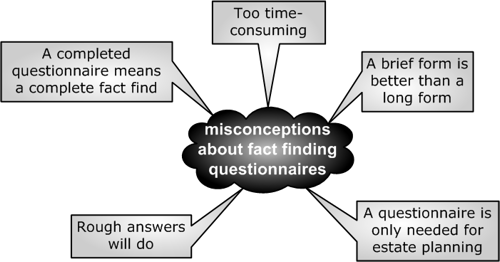 Fact finding is the process of gathering information about you. Questionnaires may be used to gather "hard data". Filling out questionnaires is not particularly interesting, but does help in the development of appropriate solutions.